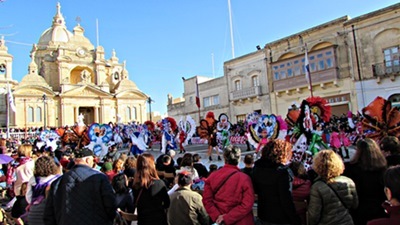 Carnival Gozo 2018 was officially opened on Sunday 4 February. 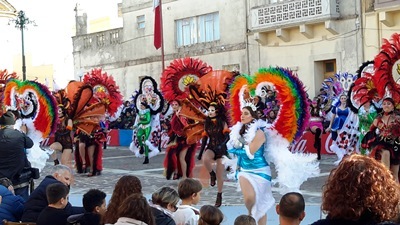 However it will reach its climax in its classical five day festival between Friday 9 February and Tuesday 13 February, exactly before the forty day long Lent time. 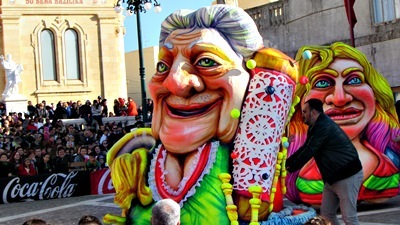 This year's opening of the Gozo Carnival was certainly a spectacular one. 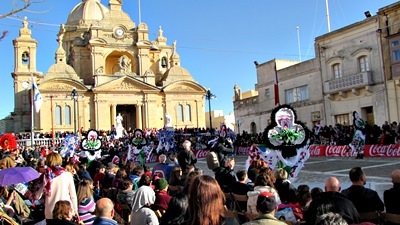 Over 500 participants from various dance schools across Malta and Gozo participated in the opening session on the sunny Sunday afternoon. 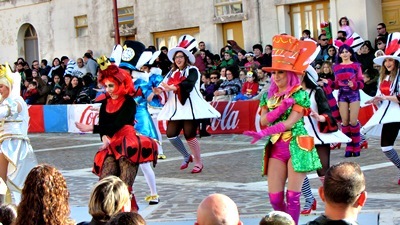 But this is just the starting point. 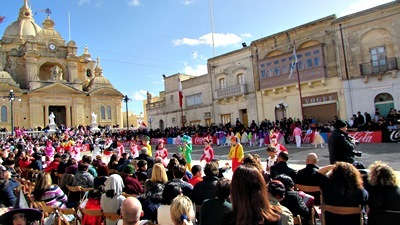 What's coming up on Gozo in the next days is surely a must-see event. 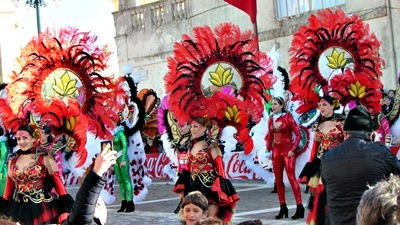 As a local, one cannot but notice the huge activity going on till late in the small villages and towns - preparations, rehearsals and final touching of all Carnival floats and colourful costumes. 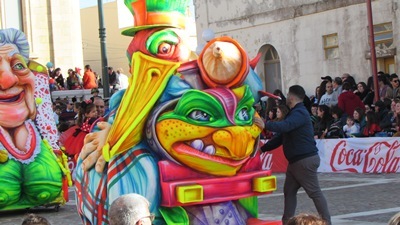 The pictures below certainly do not do justice to the amazing performance of all groups during the Gozo Carnival 2018 official opening at Nadur.